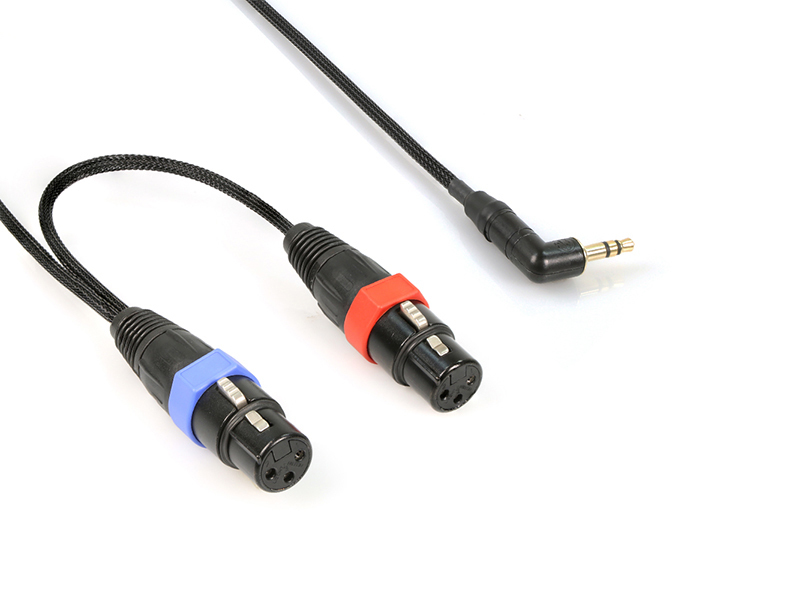 Analog audio cables for the inputs and outputs of your camera (Sorted by Item#). If you’re looking for ENG breakaway camera ends, click here. 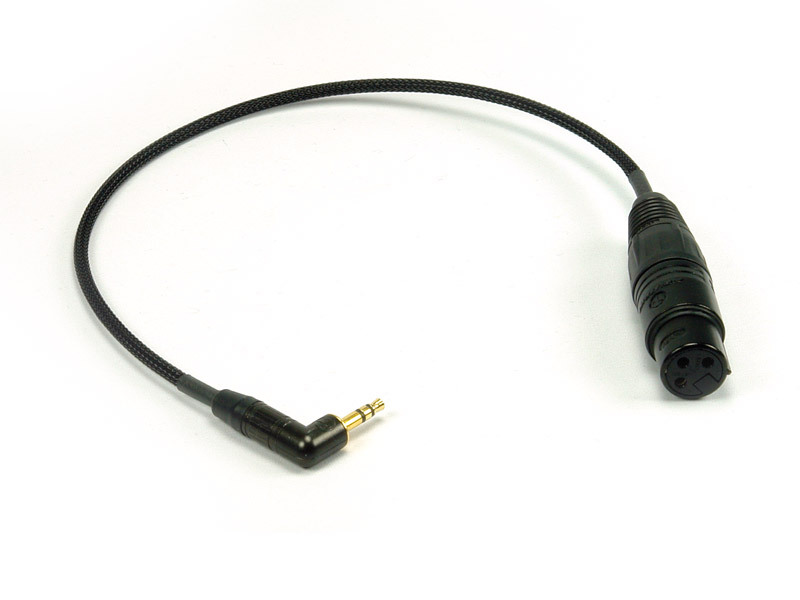 Stereo adapter cable with line to mic level attenuation. 40dB pad each channel. 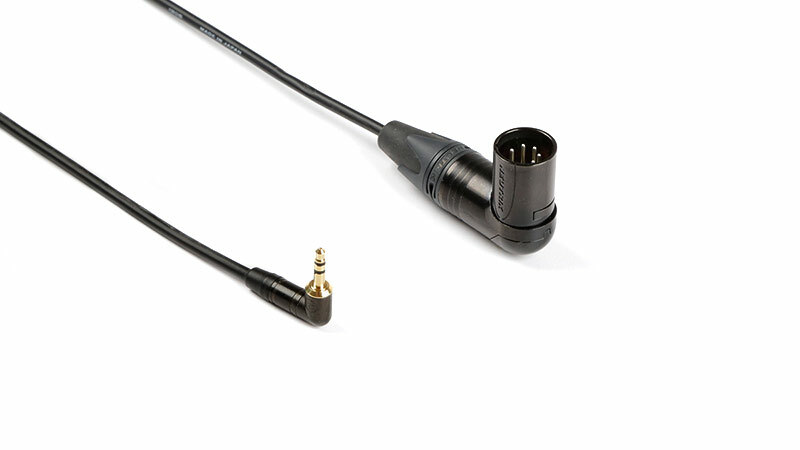 3.5mm RA TRS plug to 3.5mm TRS plug. Balanced adapter cable. Mono signal split to both channels of a stereo input. XLR3F RA to XLR5M RA. Unbalanced stereo adapter cable for breakaway return. XLR5F to 3.5mm TRS jack. Unbalanced adapter cable. Mono signal split to both channels of a stereo input. 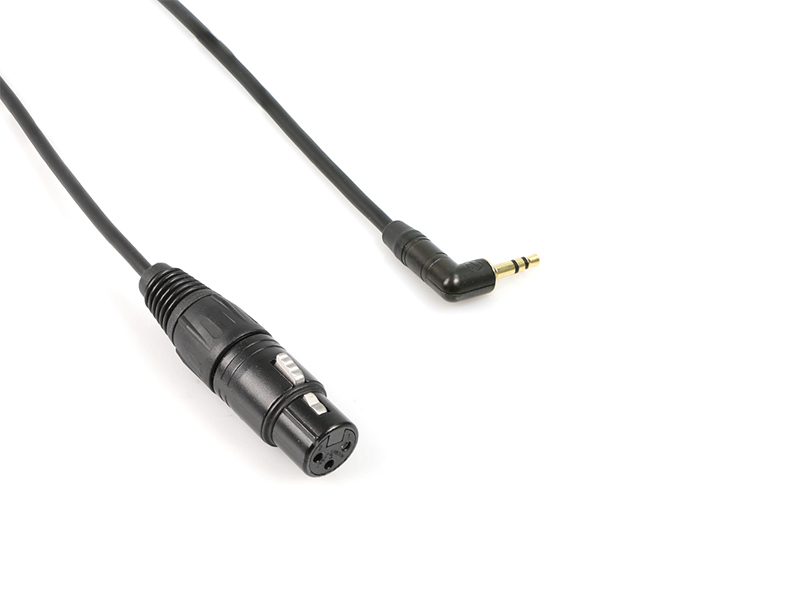 3.5mm RA TRS plug to XLR5M RA. Oriented for Arri Alexa. 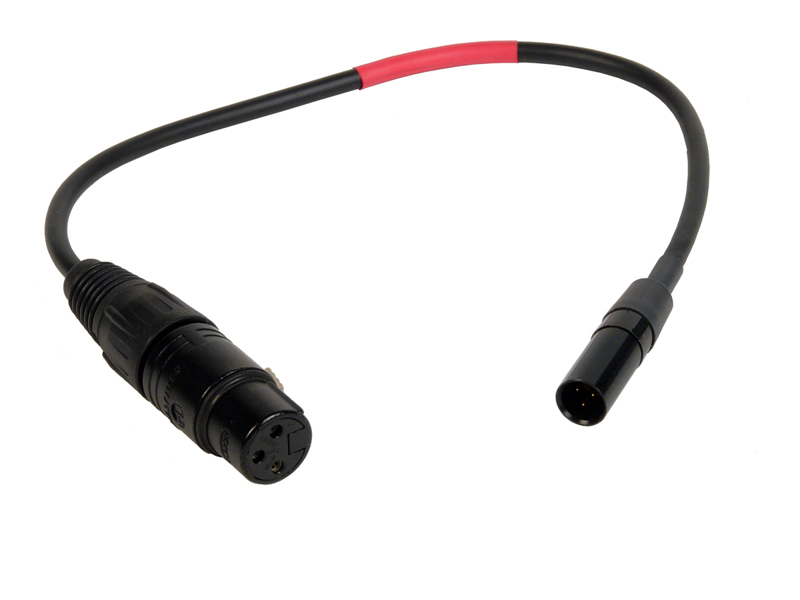 Unbalanced adapter cable for stereo mini-cam inputs. Mono signal split to left and right. Contains DC blocking capacitor. 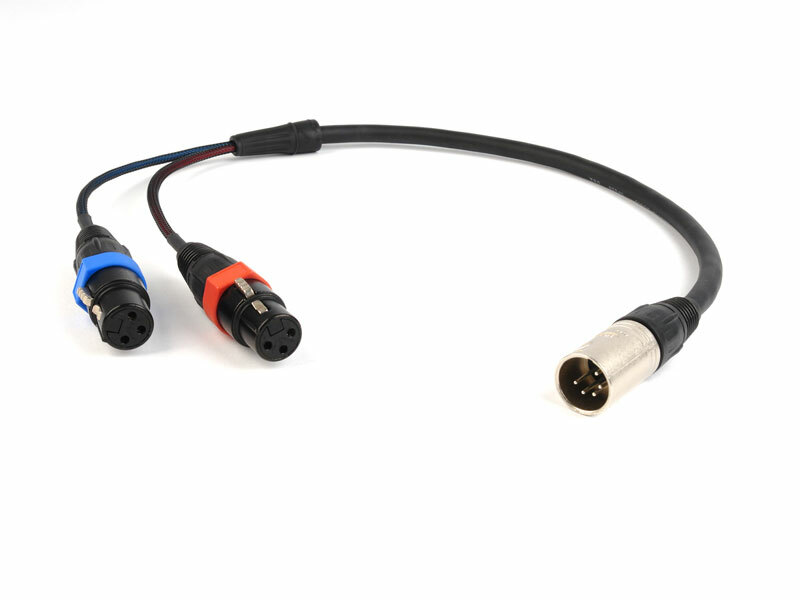 XLR3F to 3.5mm RA TRS plug. 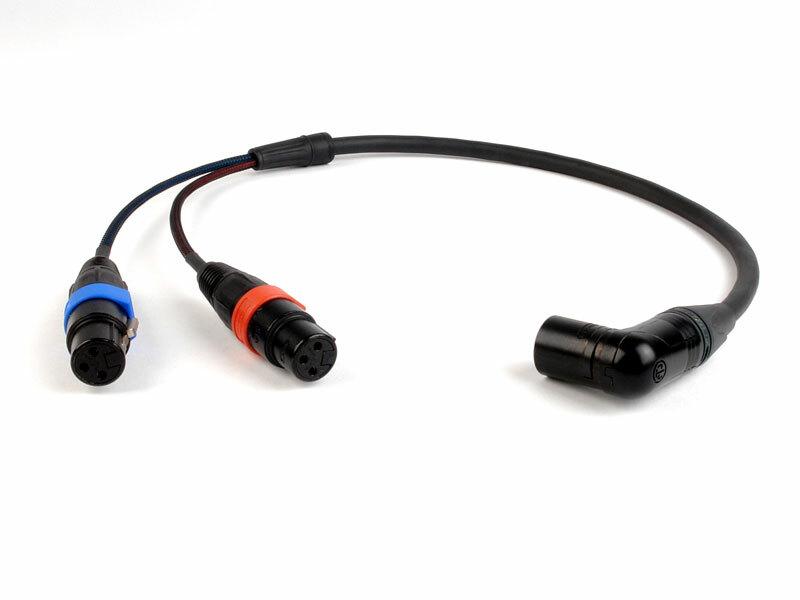 Unbalanced breakout cable for stereo mini-cam inputs. Contains DC blocking capacitors. 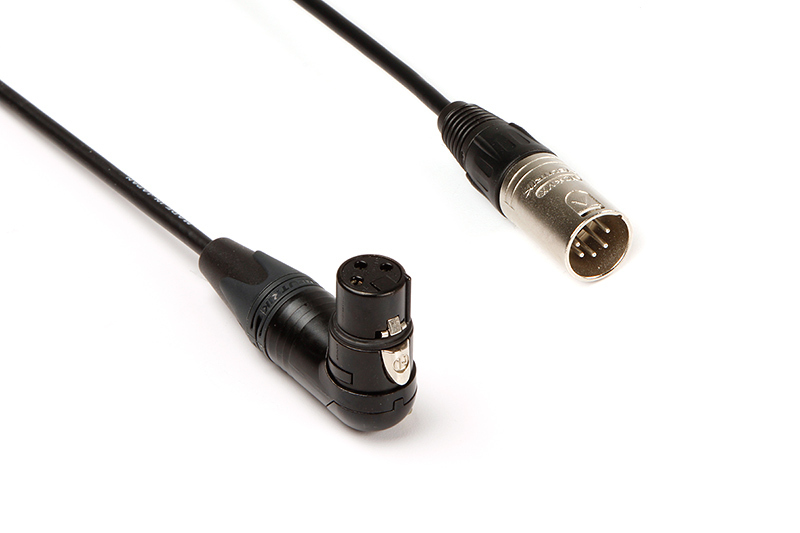 (2) XLR3F to 3.5mm RA TRS plug. Balanced adapter cable for Red One. Wired point-to-point. Balanced adapter cable for Red Epic and Scarlet. Balanced stereo breakout with coiled cable. 2 feet collapsed, 7 feet expanded. 18 inches includes 5 inch fan. 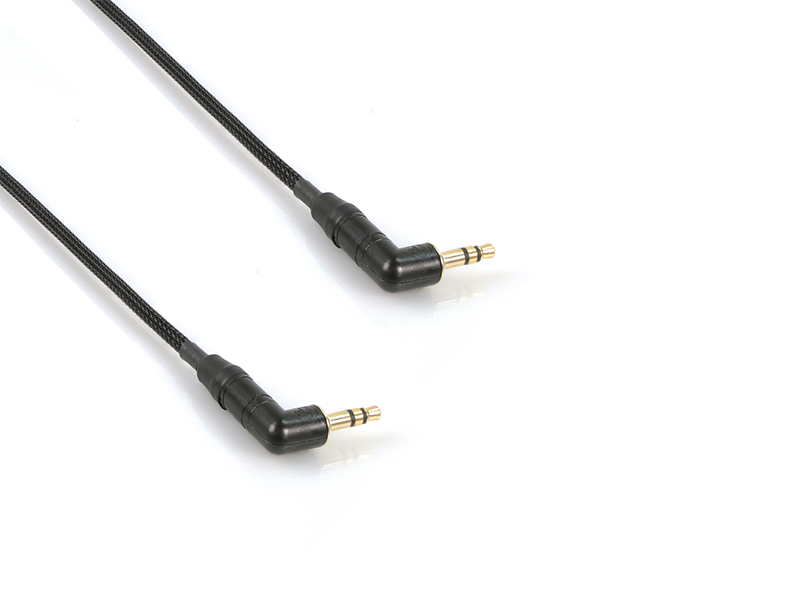 Balanced stereo breakout cable. Oriented for Arri Alexa. (2) XLR3F to XLR5M RA. 2 feet includes 5 inch fan. Left channel 14 inches. Right channel 12 inches.